These are agencies that specialise in the Camino. Obviously, any travel agency can sell tickets, book hotel rooms etc but these are highlighted for their professional knowledge of the Camino. Spain is more is a reputable Travel Agent specialized in personalised, tailor-made, quality vacations in Northern Spain for both individual travellers and private groups. Some of the other specialties include walking or cycling along the Camino de Santiago, Luxury Train Cruises through Northern Spain, extravagant vacations in the legendary Parador hotels, charming self drive holidays or relaxing in your own private Vacation Cottage. Please, see much more here on the Spain Is More website. CaminoWays.com is a cycling and walking holiday specialist with in depth knowledge on the Camino de Santiago, the Way of St James. However our real speciality is building your holiday around you! We take the stress out of researching and planning your Camino. We take care of every tiny detail involved in organising and booking your holiday. We value our relationships with the locals and we always conduct your tours in harmony with local traditions and the environment. It’s part of our ethos and we take great pride in our ability to achieve this. What are the busiest months on the Camino? 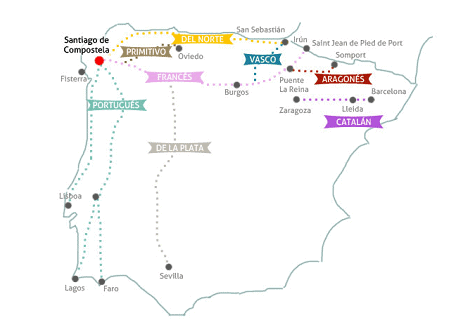 Did you know that the Paradores have special rates for those doing the camino?